Forthcoming from my publisher, Mulholland Books: an ebook of short shories published in conjunction with Rockstar Games, based on their game of the same name. Authors with stories in the anthology include such renowned writers as Megan Abbott, Lawrence Block, Joe Lansdale, Joyce Carol Oates, Francine Prose, Jonathan Santlofer, Duane Swierczynski and Andrew Vachss. 1940s Hollywood, murder, deception and mystery take center stage as readers reintroduce themselves to characters seen in L.A. Noire. 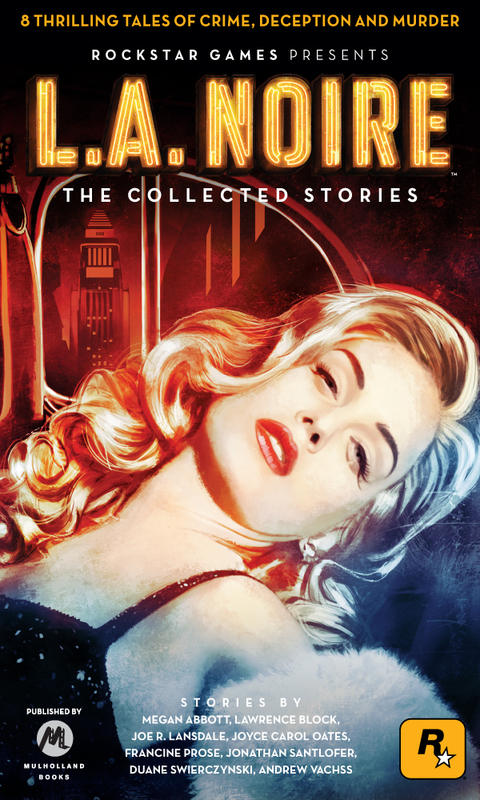 Explore the lives of actresses desperate for the Hollywood spotlight; heroes turned defeated men; and classic Noir villains. Readers will come across not only familiar faces, but familiar cases from the game that take on a new spin to tell the tales of emotionally torn protagonists, depraved schemers and their ill-fated victims.. Released June 6. Megan Abbott’s story made available for free at the link.